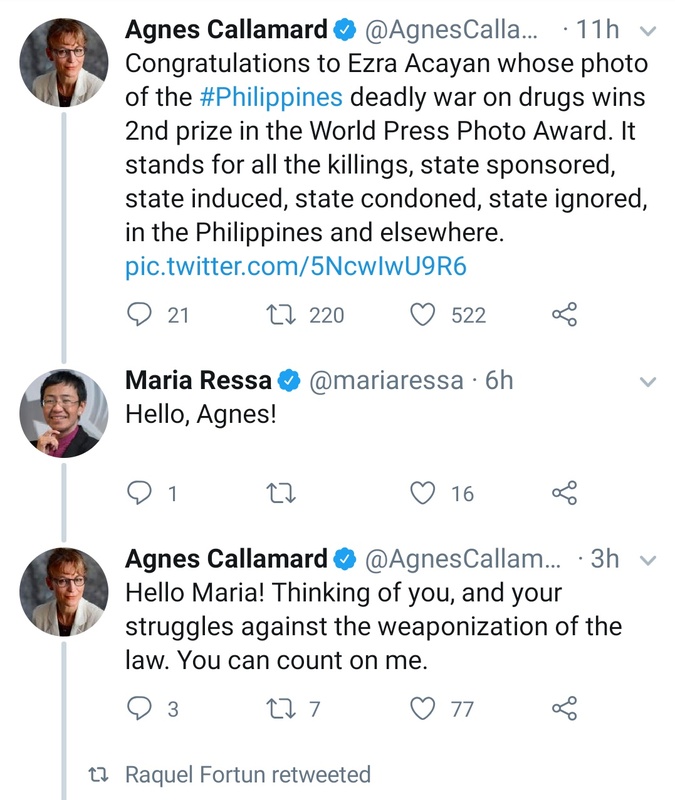 A recent tweet from “special rapporteur” Agnes Callamard exhibits the uncovered remains of a homicide victim in the Philippines — a clear double standard considering no such photo specially of Western nationals would be tolerated in Western settings. NB: Image altered by GetRealPundit to conceal identity of the deceased. 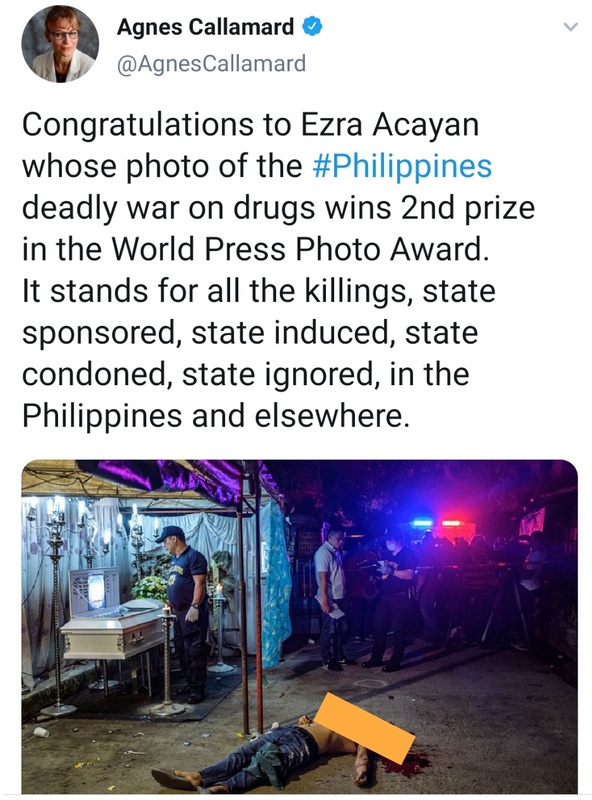 As Callamard herself cites, the offending photo even won a “World Press Photo Award” of some sort for photographer Ezra Acayan. Perhaps Filipinos should look more into the sorts of photos that win these so-called awards and see if photos of European nationals are showcased in such a disrespectful way. Perhaps, being an American and raised in a Western setting, Maria Ressa too fails to appreciate the appalling double standard in the treatment of sensitive images of the deceased when it comes to Third World societies. Clearly, manners go out the window when it comes to social climbing on social media. Next Next post: Current chairman of the Philippine Center for Investigative Journalism (@PCIJdotOrg) attended the wedding of Jover Laurio (a.k.a. @PinoyAkoBlog)!